UART is proud to introduce our brand new UART Dark. Available in grades 400, 500, 600 & 800, you will love our new dark surface. We guarantee that your pastels will shine on this dark substrate which creates vibrant effects and delivers super rich contrasts. UART Dark Premium Sanded Pastel Paper is made with the same material and consistent texture as our regular sand colored paper and will accept a wide variety of wet media. Our new Dark paper is the perfect surface for pastel and colored pencil artists who are looking for a dark substrate that retains all the benefits of a sanded texture. 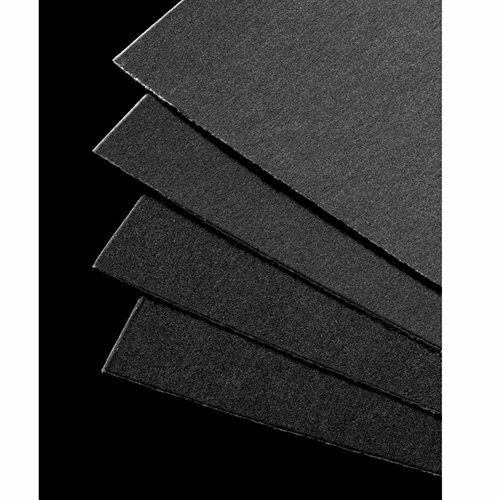 Please note that the color of the paper fluctuates depending on which grades you are using: while the 400 & 500 grades provide a rich black texture, the 600 & 800 grades lean towards a dark charcoal color, as the the higher the grade, the smaller the pigments are. View More In Mixed Media Paper. If you have any questions about this product by UART, contact us by completing and submitting the form below. If you are looking for a specif part number, please include it with your message.